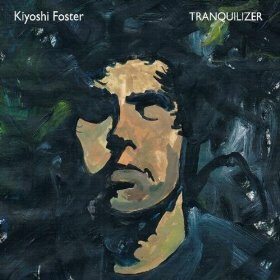 Tranquilizer is the latest effort from one of the San Francisco Bay Area’s rising stars, Kiyoshi Foster. While not exactly a blues rock album, the way Foster blends styles will leave you in tranquil bliss. With summer approaching, Tranquilizer is one of those albums made for the road. Tranquilizer leads off with the upbeat “Skipping Stone” and really gets rocking with “Yesteryears,” featuring Trevor Garrod on piano. The song is an absolute foot stomper with hit written all over it. Foster also gets a very strong performance from Sean Leahy on Tranquilizer, who adds some very tasteful guitar licks. Tranquilizer is an album that grabs you on first listen and has you coming back for more. While not confined to one style, it is hard not to make comparisons to the Counting Crows, who also started in the Bay Area. Foster’s impressive vocals bear a strong resemblance to those of Adam Duritz, and with songs just as memorable, Foster may be on the same path to success. Interview Podcast – We discuss the new album and take a listen to a few of the tracks.